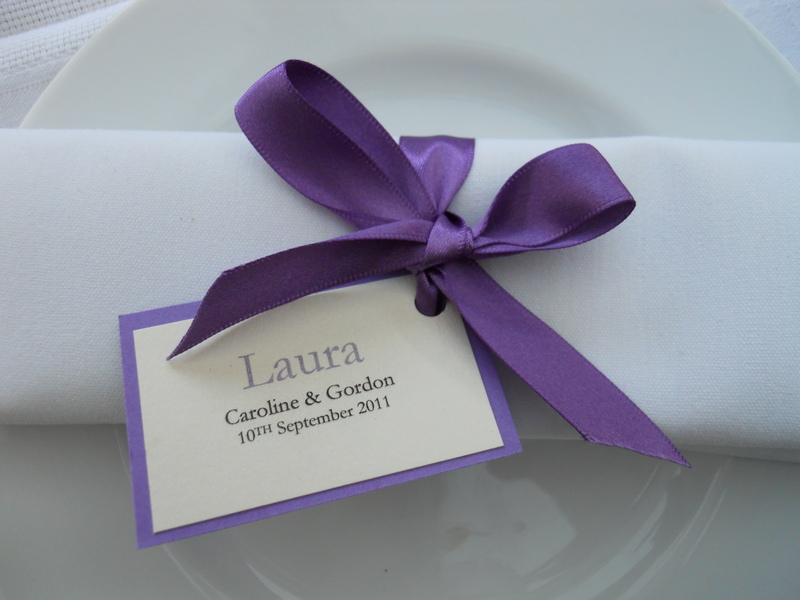 Napkins needn’t be boring ! 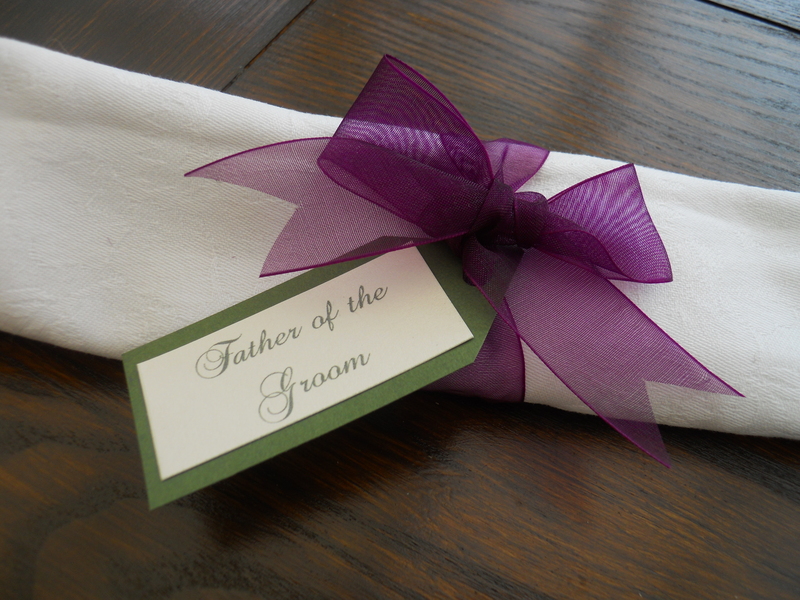 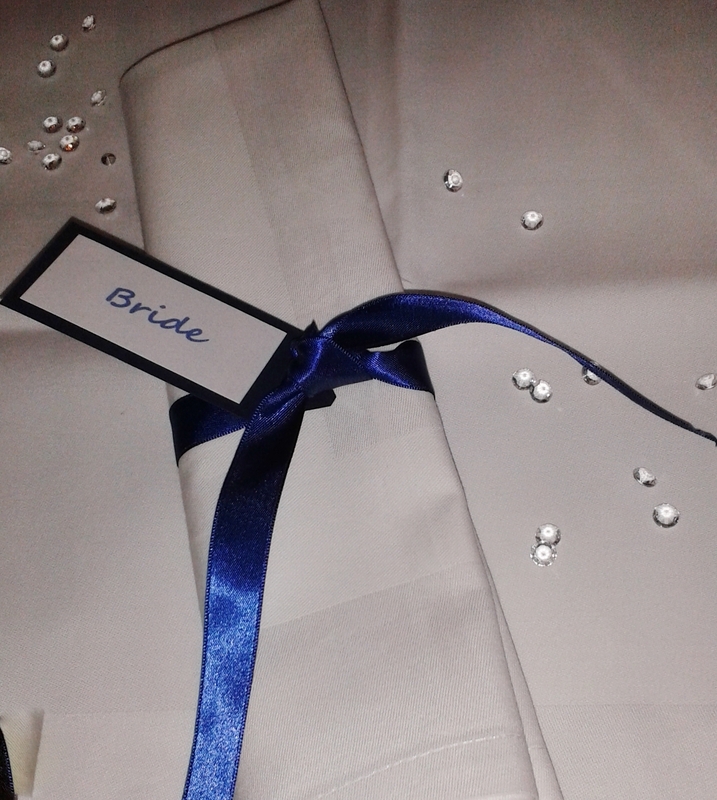 We can make your table napkins a little bit more interesting by providing either satin or wired organza ribbons to co-ordinate with your colour scheme. 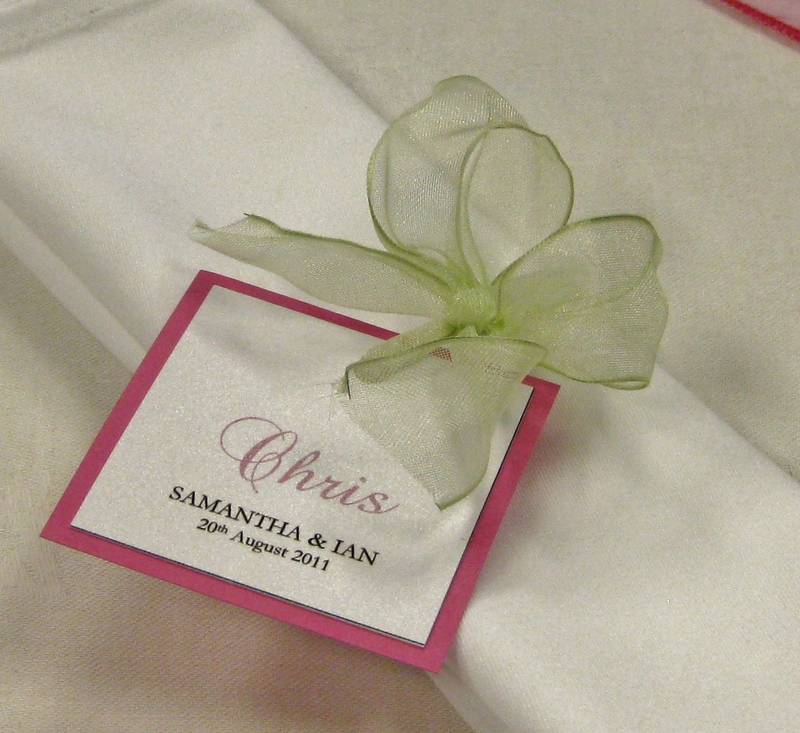 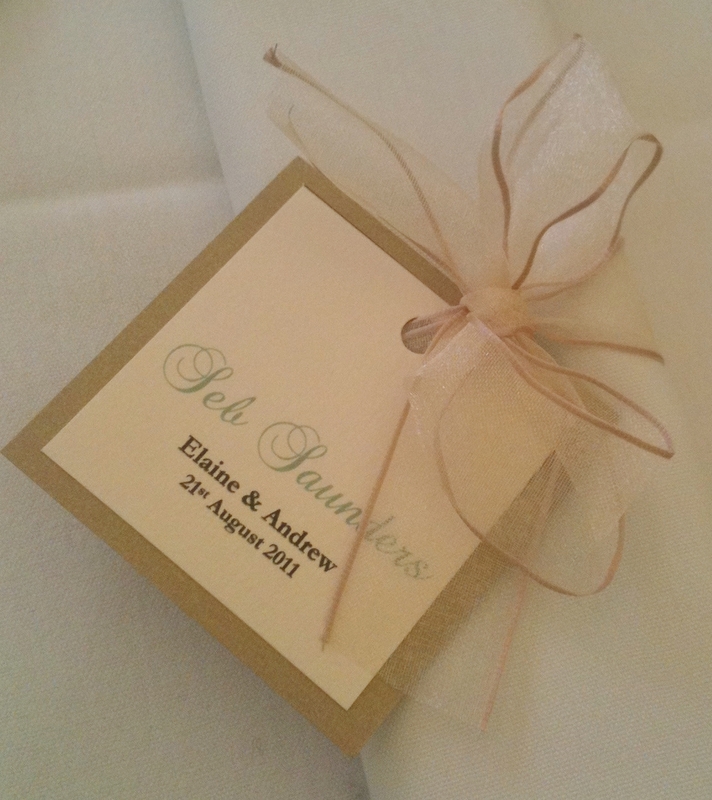 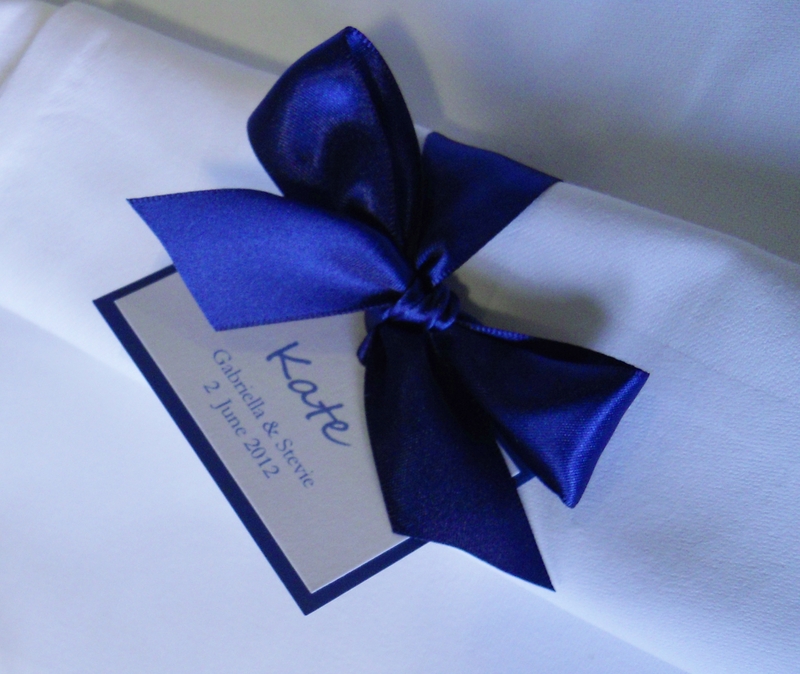 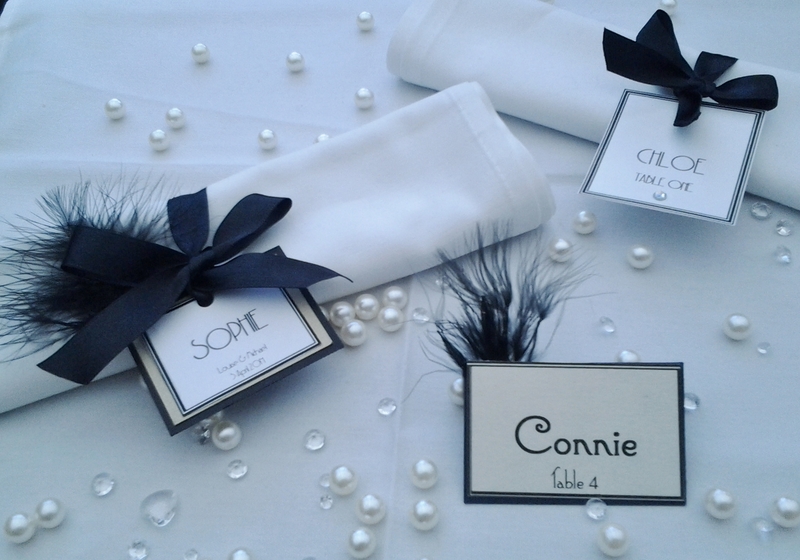 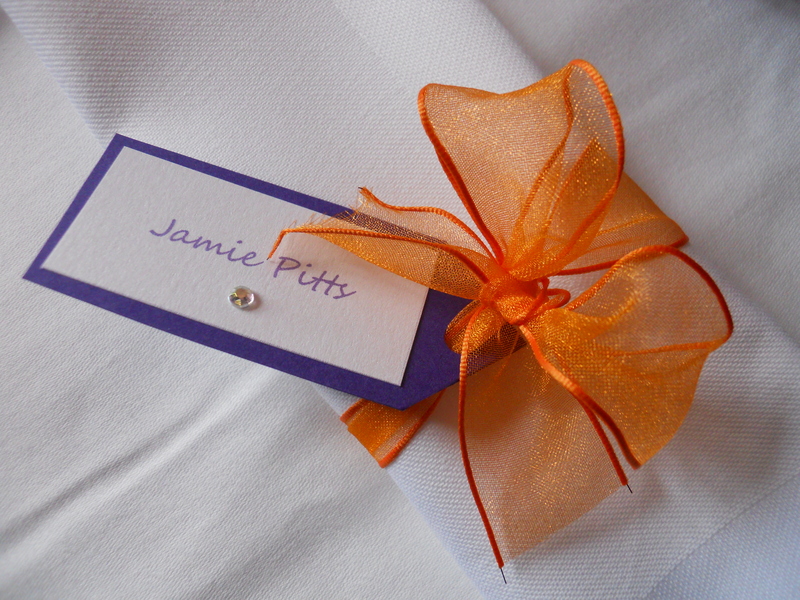 Adding a personalised guest name card not only looks pretty but also saves space on your table. 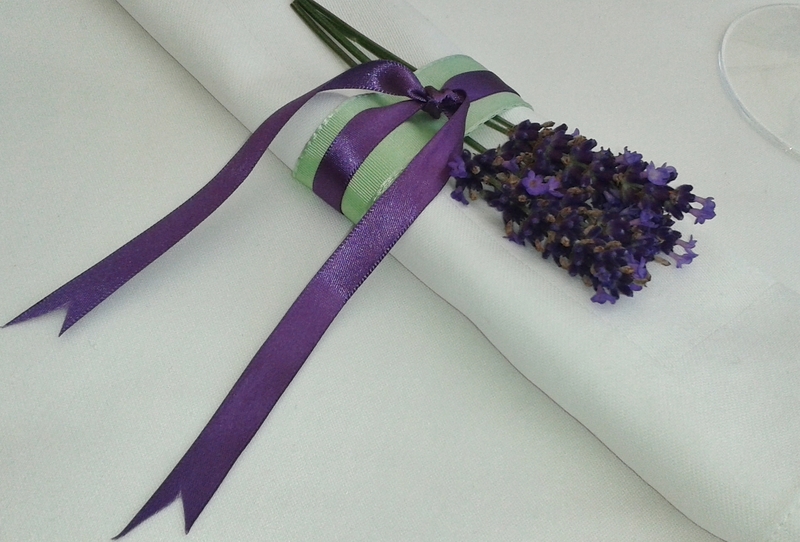 Including a flower to match your bouquet or a feather can make your table even more interesting.